It feels like a lifetime since the infamous Jay Z and Solange elevator fight video was floating around the Internet. Among the numerous potential explanations for the fight was a particularly surprising one. Some theorized that Solange was attacking Jay Z because he had been cheating on Beyoncé — which, they went on to say, explained why Beyoncé didn't do very much to stop her. 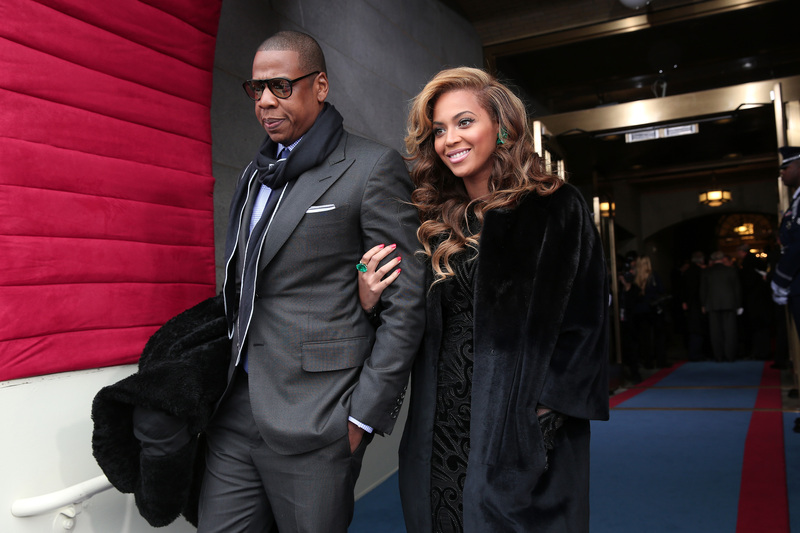 The rumors didn't really gain traction despite Rita Ora being asked about a Jay Z affair, likely because Jay Z and Beyoncé are the closest that America is going to get to a universally beloved royal couple. However, Beyoncé brought the rumors back during the On the Run Tour, though it seems pretty inadvertent. Beyoncé and Jay Z have essentially built their whole tour around remixing and renewing their songs, keeping their fans on their toes, making sure that we're getting a true performance rather than a live repeat of songs we could hear better on the CD. During their Saturday night show, Beyoncé improvised some lines to her 2006 song "Resentment" and her improvisation was... unsettling. "Been ridin' with you for 12 years, why did I deserve to be treated this way by you?" she sang, when the original line from the song sets the ridin' bar at six years not 12. Although Beyoncé and Jay Z have only been married for six years now, their first duet together was "'03 Bonnie & Clyde" which was released 12 years ago in 2002. Since the rest of "Resentment" tells the story of a woman who has been scorned by a man who threw her over for a more attractive one, it's no wonder that fans were left reeling by this. However, if we've learned anything at all from Elevatorgate, it's that Beyoncé Knowles is not the kind of woman to air her dirty laundry on stage in front of thousands of people. She's just not. Her private life was just on blast due to a leaked video and we still can't drag a single word out of her about what went down. Branding Jay Z a cheater in a line in a song performed during their joint tour? That's so not Beyoncé. It seems far more likely that her sudden burst of inspiration was poking fun at the rumors rather than confirming them. After all, it's not like Beyoncé is ignorant about what people say about her and Jay Z even if she prefers to ignore it most of the time. She's probably sitting somewhere laughing that she and Jay Z can have a child together, stand strong through Elevatorgate together, go on tour together and still have people think they're having marital troubles all with a single word change in a song. Am I saying that Jay Z has never cheated on Beyoncé? Well, personally, I think he'd be rather stupid to, but the fact of the matter is that we have absolutely no way of knowing. If Beyoncé and Jay Z are having marital problems, then we as the fans would be the last people to know about it. The fact that we even have enough straight from Beyoncé's mouth to speculate is more than enough proof that nothing's going on. And, in case that's not enough, there's also the fact that Beyoncé has flooded her website with pictures of herself and Jay Z (with bonus Blue!) on vacation and on their tour, just as she flooded her Instagram with pictures of herself and Solange in the aftermath of Elevatorgate. The only real difference here is that Elevatorgate actually happened, while Jay Z cheating on Beyoncé probably didn't.